The recent meeting between Indian Prime Minister Narendra Modi and Chinese President Xi Jinping in Wuhan has been termed as a turning point in the bilateral relations. But the two Asian giants stand in different corners on many more issues than those that could unite them. The informal summit between Modi and Jinping in Wuhan last week was billed as a milestone between China and India. Not just the two governments, but many of the analysts on both sides also seemed to suggest that the summit was a key step to cool off the tensions that had crept in the bilateral ties over the last couple of years. They also predicted it to be a turning point in the Indo-Chinese relations allowing both the countries to collaborate rather than compete. Yes, the meeting was much needed and indeed much delayed. After the extremely high-profile visit by Jinping to India, soon after Modi took charge as the Prime Minister exactly four years ago and a return visit shortly afterwards, expectations were that the two leaders would perhaps be able to give a new direction to the relations between the Asian giants. The ties had been tenuous over a number of issues – ranging from territorial claims on each other, China’s consistent support to Pakistan and its use of the Islamic Republic as a bulwark against India and of course the spreading Chinese influence in areas that India considered to be its backyard and hence a natural sphere of influence. The Chinese were also hopeful of expanding their commercial presence in India and be involved in some of the ambitious infrastructure development projects that the Indian government had unveiled, including a network of high-speed trains across the Indian subcontinent. The Chinese also had been unhappy with the way India was getting drawn into a tighter relation with the United States. However, since the meetings, the relationship has only suffered, with a number of issues that have either cropped up or come back to derail the plans to develop a friendly, cooperative atmosphere between Beijing and New Delhi. 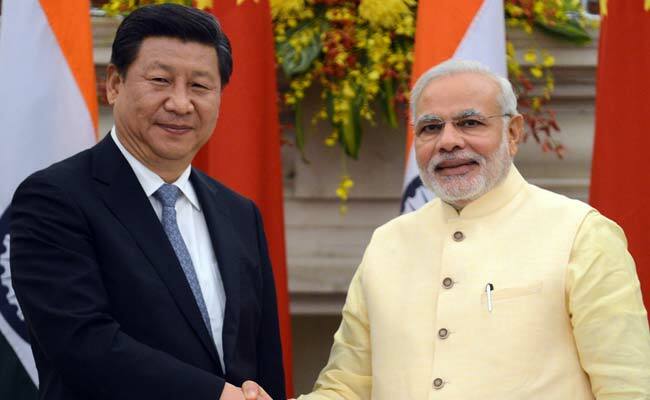 The biggest irritant between India and China, incidentally, is related to the two nations’ ties with third countries. India has always disliked and distrusted China’s decisive and open tilt towards Pakistan. China is not only one of the biggest providers of defence aid but also the biggest supporter of Pakistan at all major global fora, besides being the largest source of foreign investments and financial assistance to the beleaguered nation. India feels, with some justification, that Pakistan’s ability to create mischief, notably actively support insurgents and terrorist organisations for fomenting trouble in India, is almost underwritten by Chinese support. China has also been a key supporter for the development of Pakistan’s defence capabilities, including its air force, navy and most crucially the nuclear weapons capability, all of which are directly and uniquely aimed at India alone. China, on its part, views with suspicion the recent drift in Indian foreign policy towards the United States and other western nations. In the years following the end of the Soviet Union, India had begun developing closer ties with the western nations, including making large-ticket defence purchases from the United States. But since the advent of Modi as the Prime Minister, India’s foreign policy has seen a decisive shift towards the US, with the two countries signing an agreement to share use of military bases as well as more intensive joint military exercises, often involving forces of other ‘friendly’ countries like France, Japan, South Korea, Vietnam and Singapore. China sees these moves as an extension of the stated American policy to ‘contain’ the Red Dragon and it has tried to counter these moves by developing its own relationships and presence in countries around India, notably Sri Lanka, Maldives and Nepal, a move that India sees as a threat in the form of a string of pearls in the Indian Ocean and India’s natural zone of influence. India also opposes the One Belt One Road (OBOR) initiative of Xi Jinping as it sees it as a part of a Chinese strategy to undermine Indian influence in India’s neighbourhood. This apprehension has led India to opt out of the OBOR initiative and watch its rapid development across the world with alacrity. India is also upset about China blocking its entry to the Nuclear Suppliers Group and less than warm response to India’s quest for a permanent seat at the United Nations Security Council. The divergence between the two nations also extends to the commercial and business world. The balance of trade between the two nations is heavily loaded against India, which, in 2016-17, exported only about USD 16.4 billion (EUR 13.86 billion) as against Chinese exports of over USD 67 billion (EUR 56.62 billion) to India. Despite the large-scale presence of players like Huawei, India is also suspicious of letting Chinese companies in sensitive industries like telecom, for the fear of espionage. The two countries are also in disagreement over sharing of waters of rivers, notably the Brahmaputra, which originates in Tibet and is crucial for north-eastern India and where the Chinese have been building several large dams, curtailing the flow of water to India. Similar is the situation in the western Himalayas from where all the rivers feeding the northern Indian subcontinent originate and where India is already in disagreement with Pakistan over the sharing over river waters. The two sides have also spent the last few years muscling up their military presence close to the border areas. China has built extensive network of all weather roads in Tibet, literally upto the border, allowing great flexibility in the mobility of its defence forces. India has tried to beef up its own road connectivity in the border areas, but China is way ahead as it has also built railways and airstrips all along the border. Often, the armies of the two countries enter tense stand-offs in the border areas during construction of infrastructure by the opposite side. One such situation, that threatened to get out of hand and become a violent incident, happened in the Doka La plateau, which lies at the tri-junction of India, Bhutan and China. The Indian forces physically stopped the Chinese workers and troops from carrying on construction work at the plateau, on the grounds that Bhutan had alleged that the Chinese army had intruded on its territory and was carrying out the works on its soil. The stand-off lasted for several weeks before calmer heads prevailed and the two sides reached an agreement to lower the tensions. Though border incidents are not unusual, Doka La was by far the most serious one and it is perhaps this incident that forced both India and China to the discussion table. However, as the underlying factors that led to Doka La and feed the mistrust in this relationship, would be around for a long while to come, China and India would remain competitors rather than collaborators. For the two sides to develop a trusting relationship, a major reorientation is needed in Beijing and New Delhi. China ought to stop using Pakistan as a thorn in Indian side and India needs to realize that its best interests lie in building a secure and stable relationship in its neighbourhood, rather than follow the diktats from Washington DC or elsewhere. It also needs to understand that competing with China in all spheres is not only impossible, but does not serve its interests either. Can France become India’s most important strategic partner ?